Do you have great plans for this weekend? Our weather turned cool yesterday and we are actually having a Fall weekend in sunny Florida!!! I can not say enough times, how stinkin' adorbs the stamps at Reverse Confetti are!!! 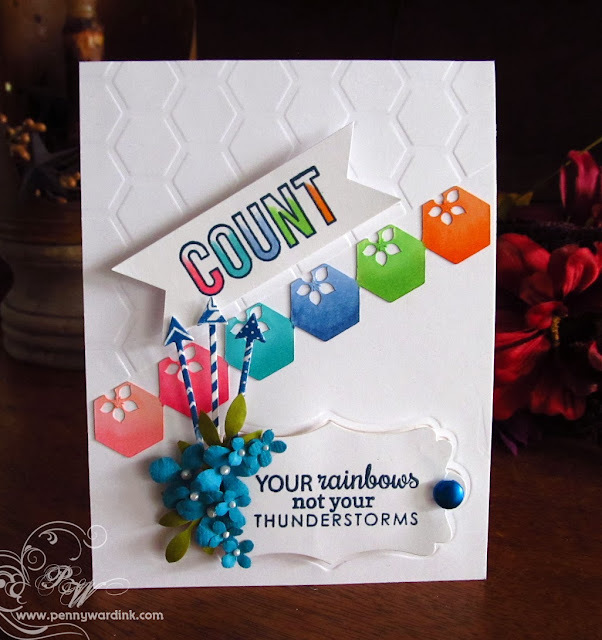 This card is mostly made with the Count Your Rainbows stamp set, but I did end up stamping the arrow die cuts with some of the stamps from the Arrows 'n Elements set. I have entered this little baby into the Reverse Confetti challenge. 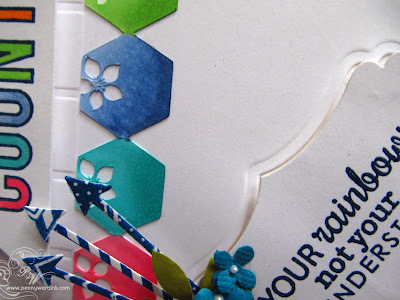 Used my Silhouette to cut the line of hexagons, a tag die from Spellbinders, the Arrow die from Lil Inkers. Some Copics for coloring and my beloved Liquid Pearls for flower centers. I have no idea where all your amazing ideas come from, but I would appreciate a referral!! This is amazing. In so many ways. Your cards are always fresh and trendy!! Love seeing every one of then!! Lots of neat things on this one. 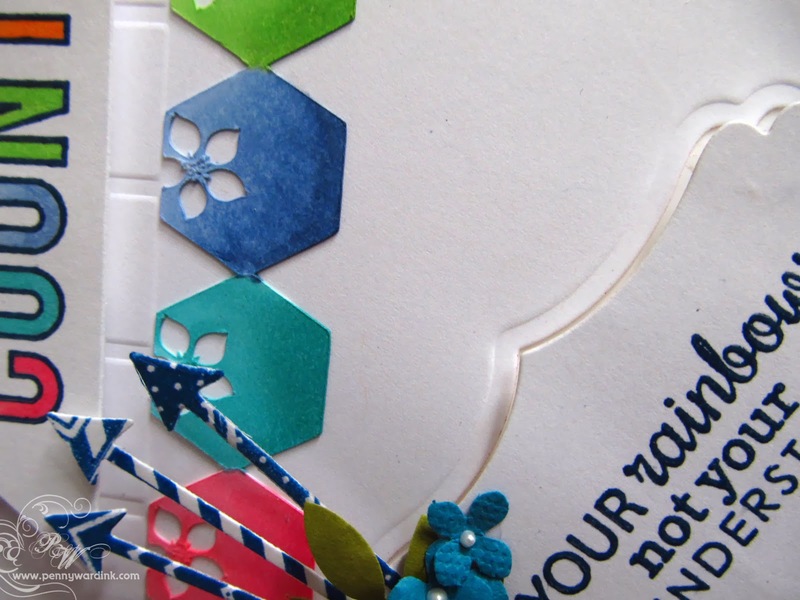 Love how the embossed pattern repeats the colorful blocks and the little flower cut outs!